In May 2006 I was the winning bidder of a number of Apple items on eBay for a very good price. 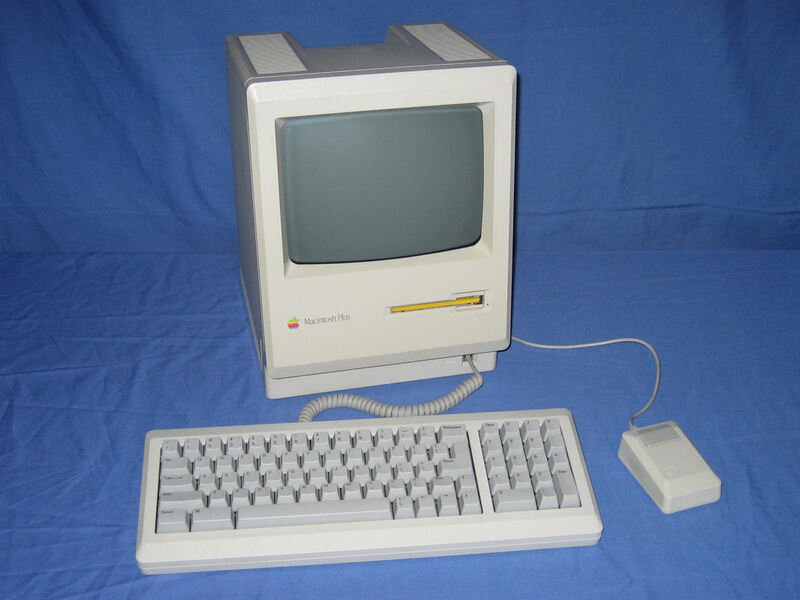 This system was part of that lot as was a Macintosh Classic. This front of the unit showing the integrated floppy drive (containing the yellow transport disk) and the front connected keyboard. 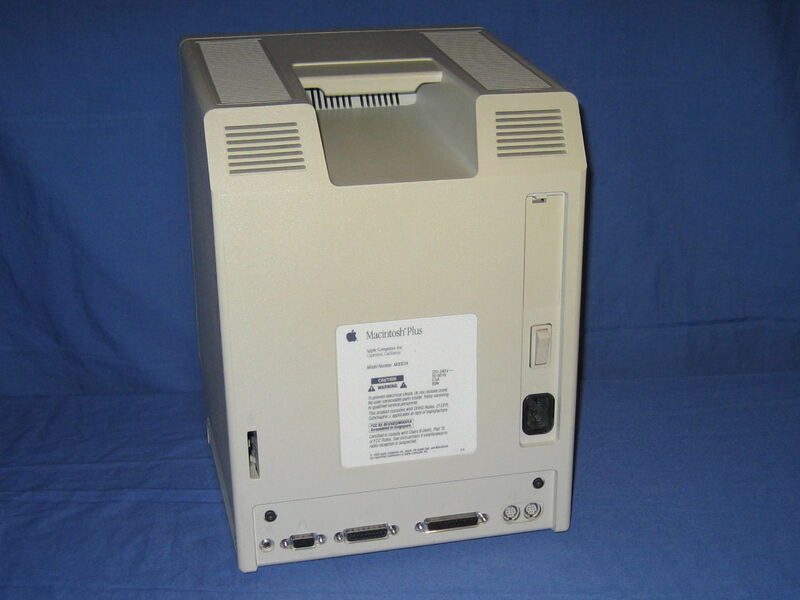 I understand that this was the last system to not utilise the Apple Desktop Bus for keyboard and mouse connections. The rear of the unit features (from left to right) speaker, mouse, floppy, SCSI, printer and modem ports. Note that the printer and modem ports are the mini-din connectors as would be found until serial ports were phased out many years later.